Do you desire to grow in your Catholic faith? Do you seek connection with other women in our parish community? We invite you to consider joining Walking with Purpose this fall at Good Shepherd Catholic Community. Weekly group sessions started Tues, Sept 25 from 7 - 9pm in the Parish Hall and runs through April 30. 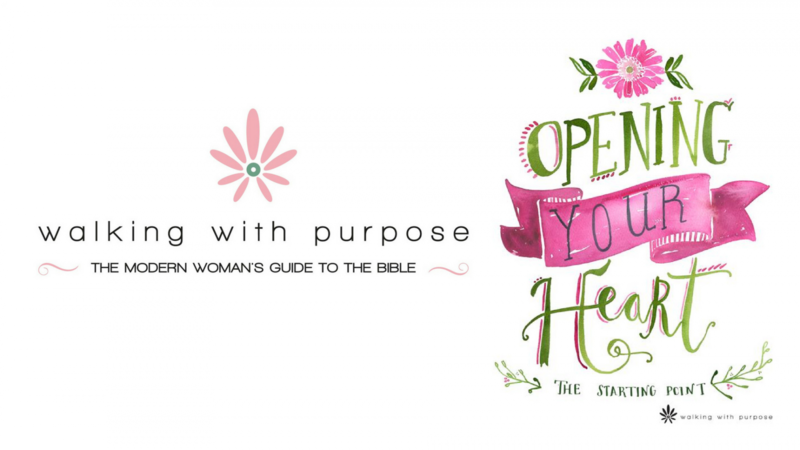 Opening Your Heart, our foundational study, is designed for women new to Walking with Purpose whether or not you have any Bible study experience; you are welcome as you are to learn how the Scriptures apply to our everyday lives.